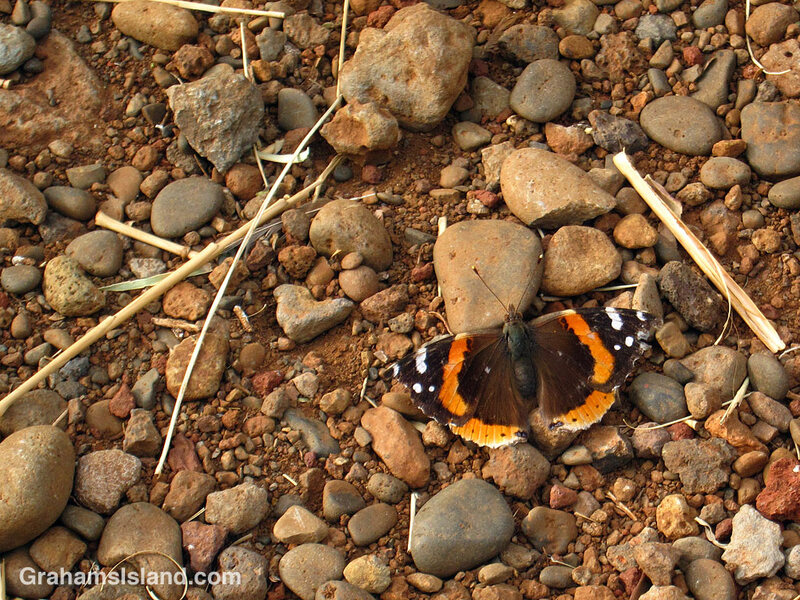 The Red Admiral butterfly is a European native that arrived in Hawaii in the late 1800s. Despite the longevity of its time in Hawaii, it’s a butterfly that isn’t seen a lot. This is the first one I’ve seen in six plus years here. I was on my way to go snorkeling when I noticed it and, of course, I was immediately distracted and snapped a couple of photos before it disappeared from view. Not only did you get to see it but it posed obligingly too! Actually, it didn’t. It landed here for the briefest time and I was able to get one shot, then it took off again and headed into an area where I couldn’t follow. I had my underwater camera with me so couldn’t get a closer shot. Butterflies are hard to shoot, Graham! 😯 I need more butterfly pics! Great fun hanging out with you yesterday! We are enjoying our last full day today, but not sure where the road will take us. Have a great day off! I had a good time too, and saw another pueo on the way home. Today, by way of contrast, the afternoon has been spent with helicopters flying overhead, roads closed, and a large police operation underway searching for an armed fugitive. I’m just hoping to live through the night! Have a safe journey home.